First the graphics aren’t working. 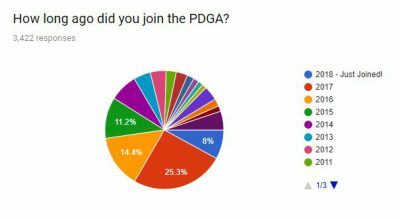 Second the PDGA has only 1363 active members as of April 12, 2018, and many of them are dead. For instance Ed Headrick (#1) is listed as an active member to the year 2200. He is deceased. Active members last year were only 7,200. 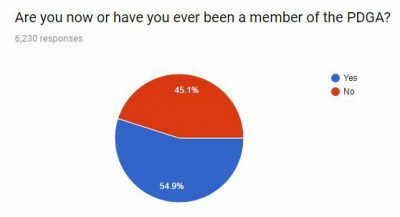 PDGA must use a government pollster to do their counting. It sounds like a Bill Clinton impeachment answer, “define the word the.” Explain how dead people can vote. Explain to me how dead people can be active. See they even have me messed up with their reporting methods and terminology. There were 7,200 members outside of US in 2017. Which the PDGA misuses the word International. What are they illiterate Republicans? They mean players outside of US not International. Second there are 34,057 active members internationally (covering all nations including US) as of 4/12/2018. And still Headrick is counted as active. Hopefully the new marketing manager has a grip on reality and markets according to actual numbers. 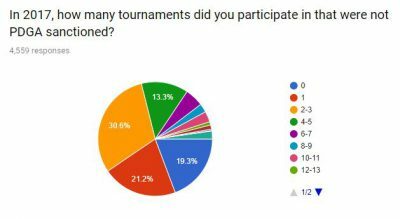 You stated: “An estimated 2.5 million people play disc golf at least once a month.” How did you generate this estimate? If there is no scientific basis for this statement, why post it? Why include a baseless claim in an otherwise solid summary of excellent survey data? 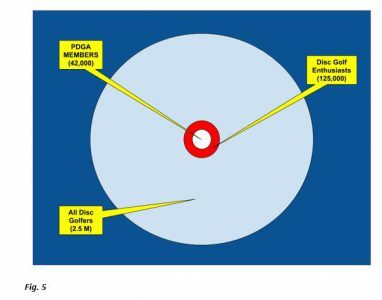 High estimates, like “2.5 million,” from solid sources like Infinite Discs inflate expectations and lead to more problems for the “grow-the-sport” movement than solutions. The PDGA should also clarify the rationale behind its estimates. In 2012, the PDGA reported that there were 500,000 “regular players.” One or two years later, it reported that there were 2 million “regular players.” Does this sound like careful scientific estimation or guesswork? I think it’s okay to make guesses, but please disclose the basis for your guesswork. Disc golf land has enough dreamers (many had dreams that never materialized). We need more careful decision makers with access to sound data.